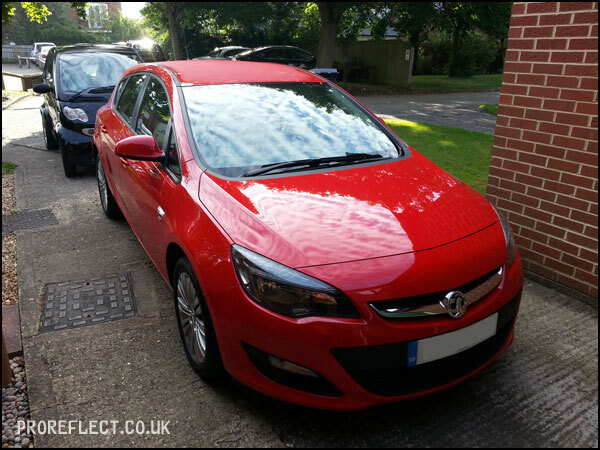 A new client and a brand new car, this Vauxhall Astra Mk6 – Power Red was booked in for a bespoke New Car Detail. 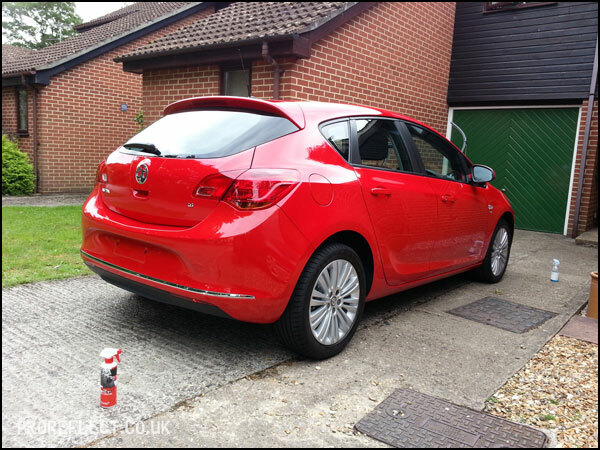 Overall the client was happy with how the car looked but wanted a long term protection to be applied to keep it looking good for longer. 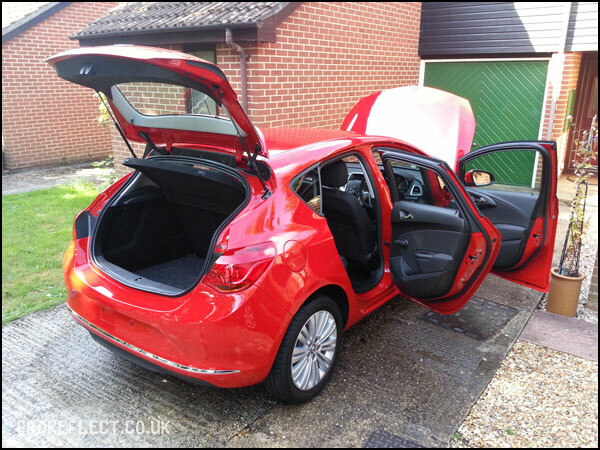 As with a lot of new cars these days there were areas after my initial inspection that weren’t looking ‘brand new’ but more of that later. 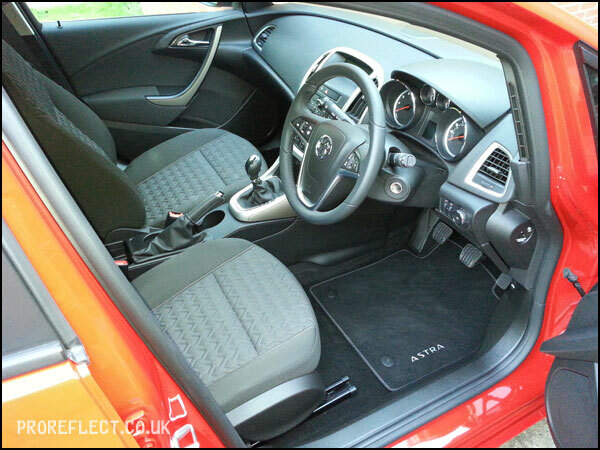 This is how the car looked upon arrival. 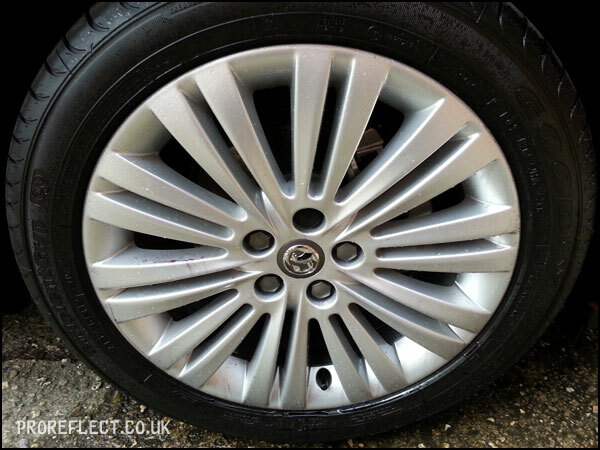 First up the wheels were given a thorough clean using Bilberry Wheel Cleaner, CarPro Iron-X and various brushes. 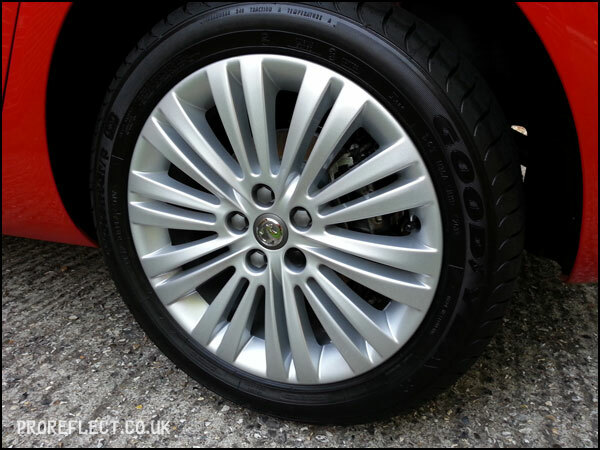 This twin-spoke design of wheel has very tight spokes and therefore a microfibre cloth was used to get right to the back. 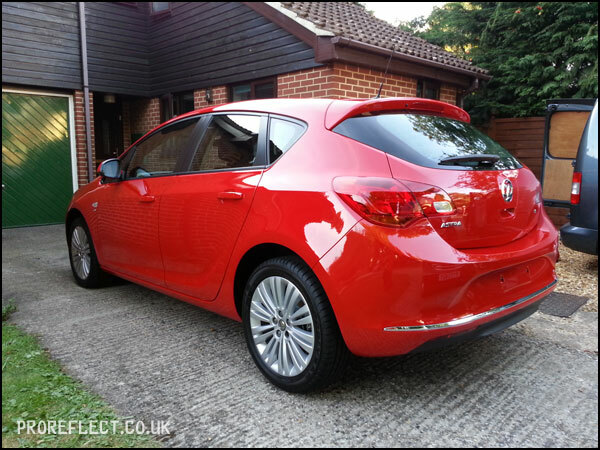 After a two bucket wash and decontamination of the paint work, the Astra was given thorough rinse and dried using a microfibre drying towel. 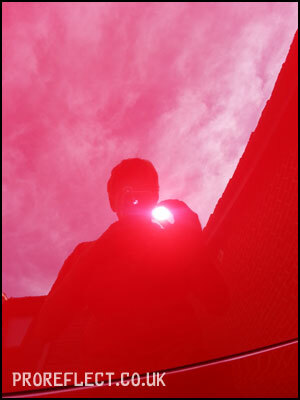 Number plates removed to make it easier. 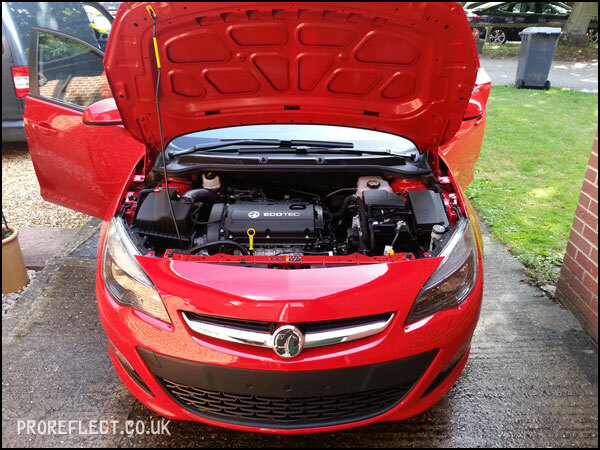 Under the bonnet it was super clean but the plastics were treated with Autoglym Vinyl and Rubber Care. 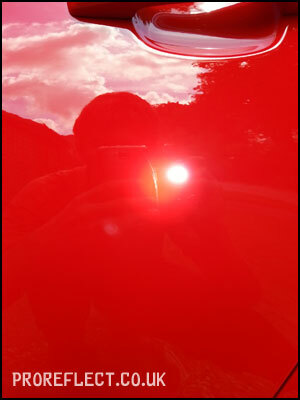 I then proceeded to give the Astra a proper inspection of all panels using a paint depth gauge and a Lenser P7. 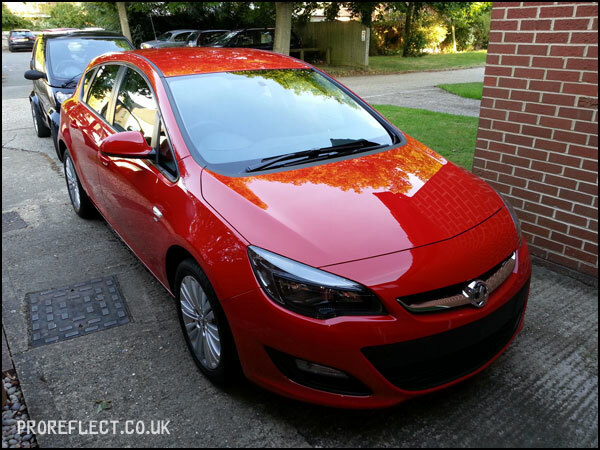 Every panel had very minor swirls from washing by the Vauxhall dealer but my client was happy with those. What I did find were three areas of concern that I just couldn’t dismiss. 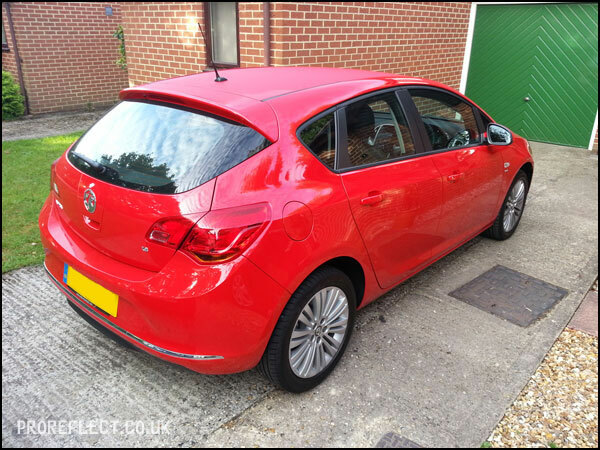 The first two were on the drivers door and passenger rear door (as shown) which were corrected using Menzerna PO85RD as they were only minor scuffs. 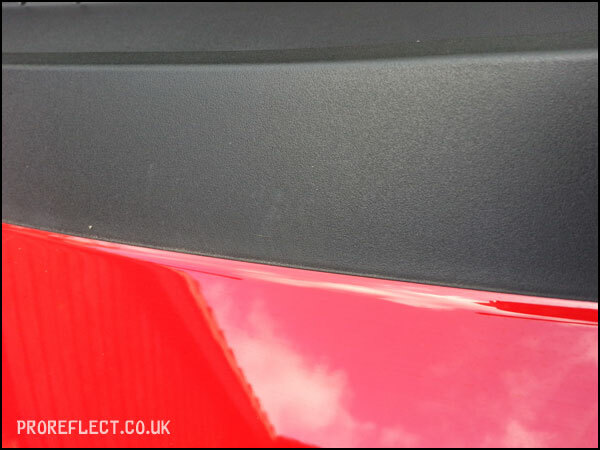 The third area of concern was given away by the remains of polish residue on the plastic trim on the rear of the bonnet – that can just been seen below. 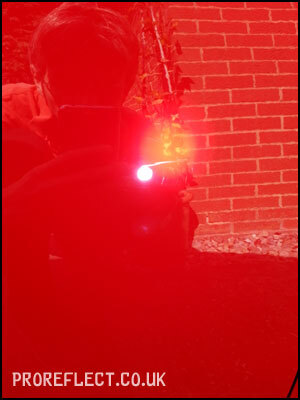 …and in the sun minor holograms were present that meant the Vauxhall dealer had been here trying to rectify something but failing in the process. 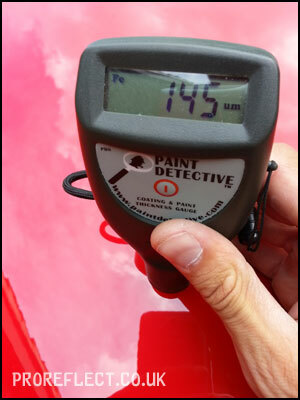 The whole car including the bonnet had healthy paint depth readings. 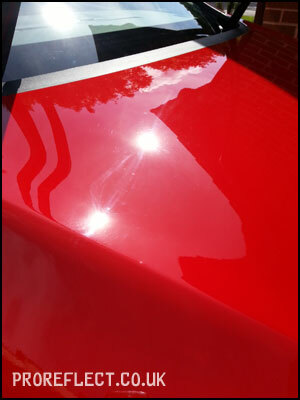 The bonnet was corrected using Scholl S17+ and then refined using Menzerna PO85RD. 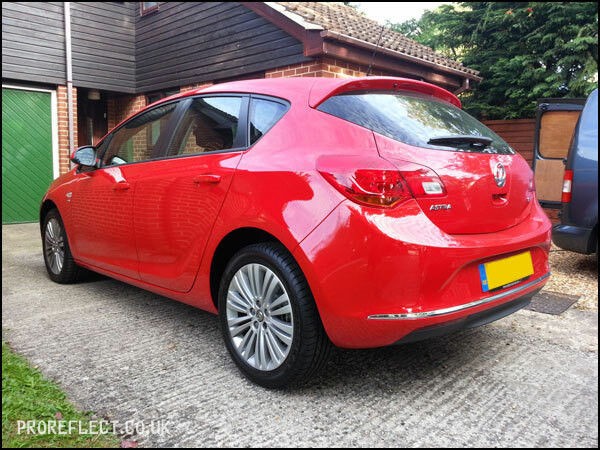 The whole car was then wiped down with CarPro Eraser to remove any polishing oils and then a layer of Gtechniq C2V3 was applied to give outstanding gloss and long term protection. 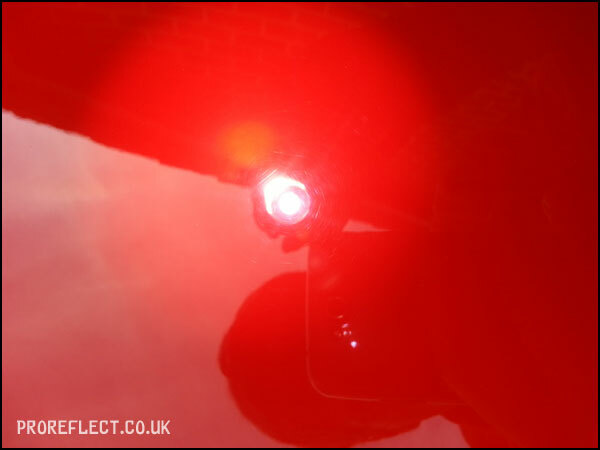 All exterior glass was given a layer of Gtechniq G1, with three layers being applied to the windscreen. 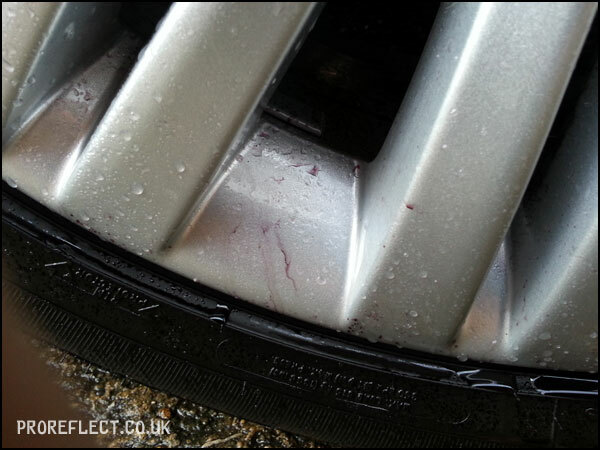 The outside face and spokes of the alloy wheels were coated with Gtechniq C5. 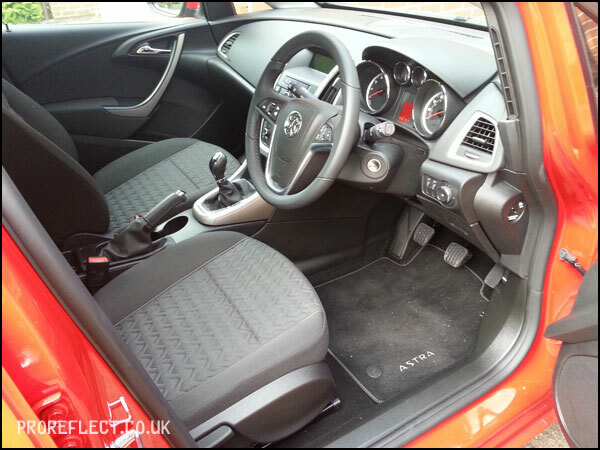 A light hoover was all the interior required. 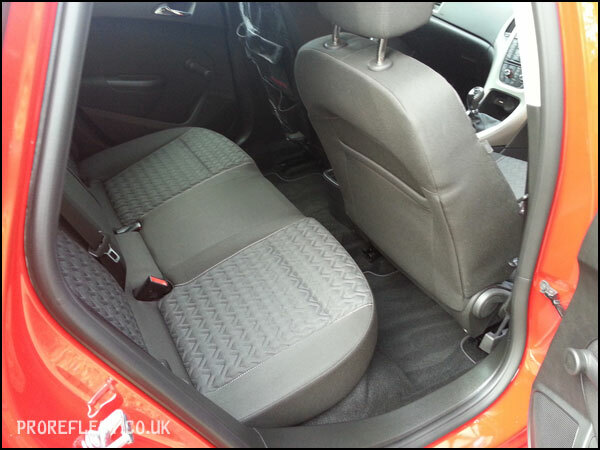 The dash and plastics were treated with Gtechniq C6. 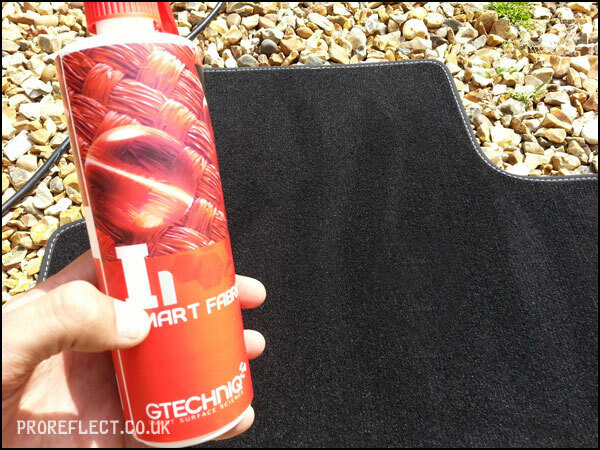 The interior mats were given a coat of Gtechniq I1. 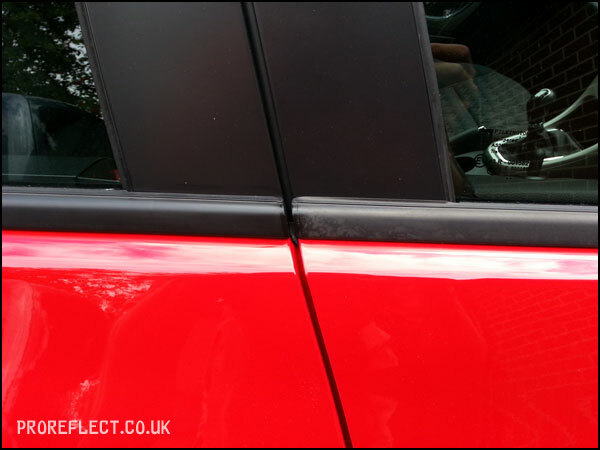 To finish the detail the external window rubbers were treated with 1Z Gummi Pflege Stift, 50/50 shown before a final inspection.